Since last summer, I’ve been part of a meetup group spearheaded by entrepreneur Matthew Wise focused on food startups in the Bay Area. What began as a casual group of 20-30 interested people meeting for tacos and margaritas in SOMA has now morphed into a much larger profile meetup group with close to 600 members. Matthew and his conspirator Andreas Saebjoernsen organize panels every three months featuring food startup founders. Listening to Abby Sturges and Jennifer Lopez describe the pivot their startup, Culture Kitchen has taken with tons of passion and enthusiasm. 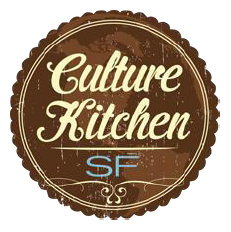 Culture Kitchen was founded at the Stanford d.school with the mission of “spreading culture through food and empowering people to learn and share authentic ethnic cuisine.” They began by hosting cooking classes for people who want to learn authentic ethnic cooking directly from immigrant women living in the Bay Area. However recognizing the limitations of that model, they recently shifted towards selling subscription cooking boxes. Each month subscribers receive a box showcasing a different cuisine. The box includes recipes for a complete meal, all the hard-to-find ethnic ingredients (e.g., dried limes), a grocery list for fresh ingredients, tips, tricks, a list of tools, and access to blog posts conveying the “between the lines” of the recipes. Jennifer’s passion for the new model is contagious. She described to us, “we know there’s a family in Alaska, for example, that made Iraqi food for the first time.” About another family, Jennifer shared, “they never thought they’d make Western Indian food but because they made Bengali last month they’re like, ‘yeah, let me at it.’” I think it’s pretty exciting that they’re spreading ethnic cuisines all over the country, even in areas that lack ethnic grocery stores, and even beyond as they’re already talking about international expansion. Plus they totally sold me on the gift-worthiness of their boxes. I went to a wedding this weekend and bought the newlyweds a three month subscription. Gaining insight from Kitchit co-founders Ian Ferguson and George Tang into the inner workings of the chef world. Kitchit enables dinner party (or brunch, or lunch, or cocktail hour) hosts to hire well known chefs to cook in the hosts’ homes for groups of diners of all sizes. Started by two graduates from the 2011 class of the Stanford GSB (Ferguson and Brendan Marshall) along with a Stanford CS masters grad (Tang), the startup has been killing it within the Stanford community. During GSB graduation weekend, for example, tons of houses of students hosted their families for Kitchit dinners in their homes serving anywhere from 20-60 people. Every dinner I’ve heard about was a huge success and a major crowd-pleaser. What was interesting to learn from Ian and George was how they had to understand the politics of the chef world in order to get their business off the ground. Traditionally private dining was viewed by chefs as selling out and lining your pockets on your off days. They had to tackle this connotation by making the Kitchit experience unique and desirable. They faced a huge barrier when signing up their first chefs as each chef would ask, “well who else is on it?” Now that they’ve recruited noteworthy Bay Area chefs, including Chef Douglas Keane from Healdsburg’s Cyrus, Chef Traci Des Jardins of Jardiniere, and Chef Mourad Lahlou from Aziza, their growth is accelerating. Hearing ForageSF founder Iso Rabins’s totally different approach to serving unmet market needs. Given Kitchit and CultureKitchen were both nurtured on the Stanford campus with MBA co-founders and team members, the founders of each company spoke my language. It was refreshing, on the other hand, to hear Iso, who started ForageSF in 2008, speak a totally different language, and to realize that his approach works…well. ForageSF supports local “foragers” and small food businesses via projects like the Underground Market and the Wild Kitchen (an underground supper club). While Iso admitted most of his earlier efforts were questionably legal, he’s succeeded in creating a movement and building momentum. For him, the balance he strives to strike is between supporting a local food culture and complying with regulations and laws. Recently he’s kicked off a much larger project: The Forage Kitchen, which requires him to do things much more by the book. The kitchen is a $3M space and he’s putting a lot of thought into how to make it a sustainable for-profit + for-good business. The kitchen will be a hub for the San Francisco food community: a place to “cook, learn, produce, and enjoy local food.” The hub will include shared office space, an incubator program for artisan food startups, cooking classes and kitchen rentals, a rooftop garden, and a café and store for enjoying local products. Consistent with Iso’s approach of starting from what the community needs, he’s funding the project from the community using a Kickstarter campaign. As I write, the campaign has raised ~$120K out of the needed $150K. I contributed this weekend and encourage you all to do so. There are some pretty cool perks for contributing. Learning from Vignette founder Pat Galvin that 35% of Americans over the age of 18 identify as non-drinkers, and are often ignored or treated unfairly in drinking environments. Pat started Vignette, the Wine Country Soda, to produce a new artisanal beverage made from grapes. Providing an option for non-drinkers was a secondary motivation; Pat himself is not a non-drinker. However as he’s gained momentum and received feedback from customers he’s realized he’s filling an important niche. Non-drinkers are often left out of the wine tasting experience. Now many Napa and Sonoma Valley wineries carry Vignette and are able to offer an artisanal beverage (in flavors including Pinot Noir, Chardonnay, Rose, and California Brut) made from local grapes to non-drinkers. Pretty cool to stumble on an unmet need in this way and fill it so perfectly. I haven’t tried the sodas yet, and am pretty sure in most cases I’d choose wine over nonalcoholic grape soda but I’m excited to give them a taste. Listening to Buyer’s Best Friend co-founder and CEO Adam Sah debate the symbiosis between food and tech. Adam and his girlfriend Joyce Guan co-founded Buyer’s Best Friend (BBF) in 2010 as a comprehensive wholesale catalog of artisan food products. They boast over 60,000 products from 1100+ manufacturers and have (very) recently partnered with natural foods distribution giant UNFIto increase the reach of otherwise local small-scale food companies. Adam’s take on food and tech? Food can’t be tech’ed. Given their company’s role is to catalog 60K products it makes sense that, although technology can help, there will always be a manual portion of the business. Adam explained, “there is no food plus tech. There are food people, and there are tech people. There will always be a divide. There are partial fixes, comprises, iterations, and highly manual solutions.” Iso chimed in at this point with one of my favorite takes on the relationship between food and tech: “In the Bay Area, the tech world is the patron of the food world.” I.e., money flows into tech companies, whose owners spend it on high quality food experiences. Sounds about right. Overall Buyer’s Best Friend sounded like a pretty impressive company, especially given how quickly Adam and Joyce have built it. 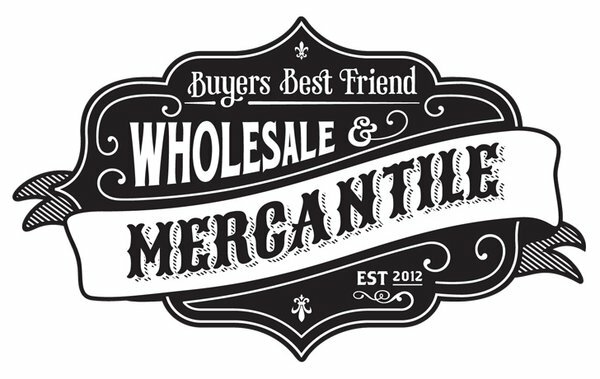 Besides the recent UNFI partnership they’ve also launched a retail space this month in the Upper Haight (1740 Haight at Cole) called Buyer’s Best Friend – Whole Sale and Mercantile showcasing small regional food brands (and almost everything for sale can be sampled—sounds like a fun excursion). They’re success is not surprising given the power couple’s background. Joyce is a rockstar saleswoman from the food world and Adam is a serial entrepreneur with three IPOs under his belt. According to the Eater SF profile of the new store, BBF is only “the third biggest project” that Joyce and Adam are working on. I’m excited to see what else they come up with. Beyond the individuals listed above, the other two panelists were Zach Yungst, co-founder of Cater2.me, a catering company connecting Bay Area offices to local food purveyors, and Heather Hilleren, owner of Local Dirt, an online site for finding, buying and selling local produce. Given the tidbits described above, and the passion and excitement I derive from attending events like these and connecting with this community, I judged the panel to be a success. I do think there’s some room for improvement (e.g., the panel was a bit too large for every question to be answered by every panelist in the same order, and there was some gratuitous self-promotion) but the issues were minor. Overall Matthew and Andreas have built a unique and engaged community with lots to share and I’m looking forward to the next event in September. RVSP here. This entry was posted in Uncategorized and tagged Buyer's Best Friend, Cater2.me, Culture Kitchen, Event, Event recap, ForageSF, Kitchit, Local Dirt, Meetup, Start-up profile, Vignette. Bookmark the permalink. thanks for the post Michelle! This is a great blog and we’re happy to be mentioned! Feel free to reach out anytime if there’s anything we can help you with. Thanks! Will come by sometime soon. I’d love to see it. Great post. Do you know http://newgusto.com ? NewGusto is the community to eat at people’s houses around the world. miracles overnight. Focus on the good things when trying to achieve your goal. I don’t have a lot to sabotage your health. They help fill you up and has no calories or other” bad” stuff.